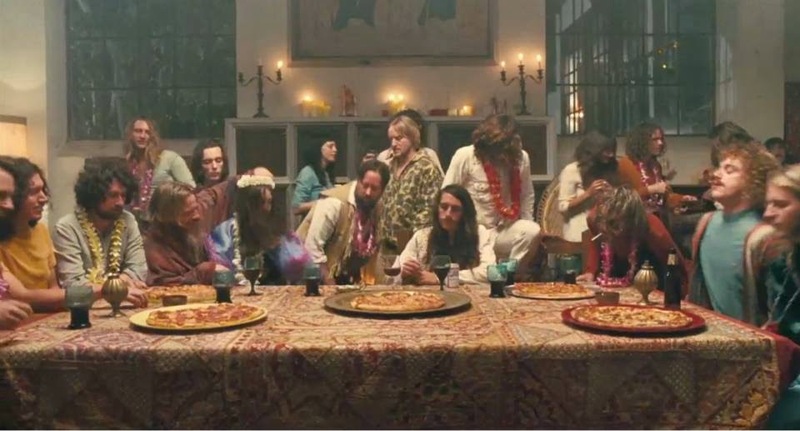 New trailer explains Inherent Vice without getting all spoilery! Today's Sunday Slacker video couldn't get any slackery-er. (Er, slackeryer wasn't a word, but I added and hyphen and now, apparently it is, so). The marketing genius guys (and gals at 77% of their salary) at Warner Bros. had the bright idea to release a new trailer. One that doesn't spoil Inherent Vice, rather it enhances the film by setting it up perfectly. They brought music maker Joanna Newsom, who plays Sortilege and does the beautiful voice over narration in the film, back to record the narration to this newest trailer titled Paranoia. I love how it embraces the trailers of yore, back in the old days, including the 70's when a trailer wasn't necessarily trying to entertain so much as entice an shamelessly invited you to come see the movie. I was lucky enough to see an early screening back in November and thought Inherent Vice was way groovy. It's a fun frolic that keeps you on your toes, and while it couldn't go all the places Thomas Pynchon's novel goes, it's both an homage to the book and a loving tribute to California way back when my state was a'changing from the 60's to the 70's. Sometimes amazing, sometimes horrifying, always strange days indeed. Inherent Vice is currently playing in select cities but most of you will have to wait until January 9th. The film stars Joaquin Phoenix, Josh Brolin, Katherine Waterston, Owen Wilson, Martin Short, Reese Witherspoon and Benicio Del Toro. My take on Inherent Vice, the novel by Thomas Pynchon. My take on Inherent Vice, the movie by Paul Thomas Anderson.